Today sees the release of a special live performance by Fotheringay that was recorded at Grugahalle in Essen, Germany, on 23rd October 1970. 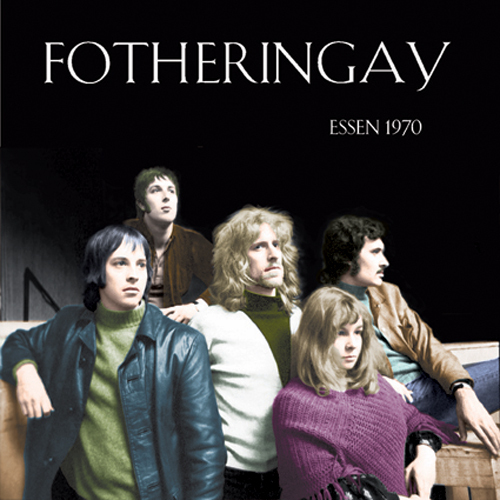 Fotheringay performed as part of a large indoor festival that included many notable bands such as Supertramp, T. Rex, and Kraftwerk to name a few. The concert tapes have been elaborately re-mastered by Fotheringay guitarist Jerry Donahue who got the most out of the vintage recording. This performance was recorded semi-professionally by the festival host, and stands out as one of the best live performances ever captured of this short-lived but amazing band.